Adding to our list of commercial office projects, we recently completed the flooring renovation of Estetica Designs headquarters in Conshohocken, PA. We gave the existing 6,000 square foot interior floor a complete overhaul, resulting in a modern look of natural wood and neutral tones throughout the office workspace and common areas. When Estetica Designs found their office in need of updating they didn’t have to look far for help. 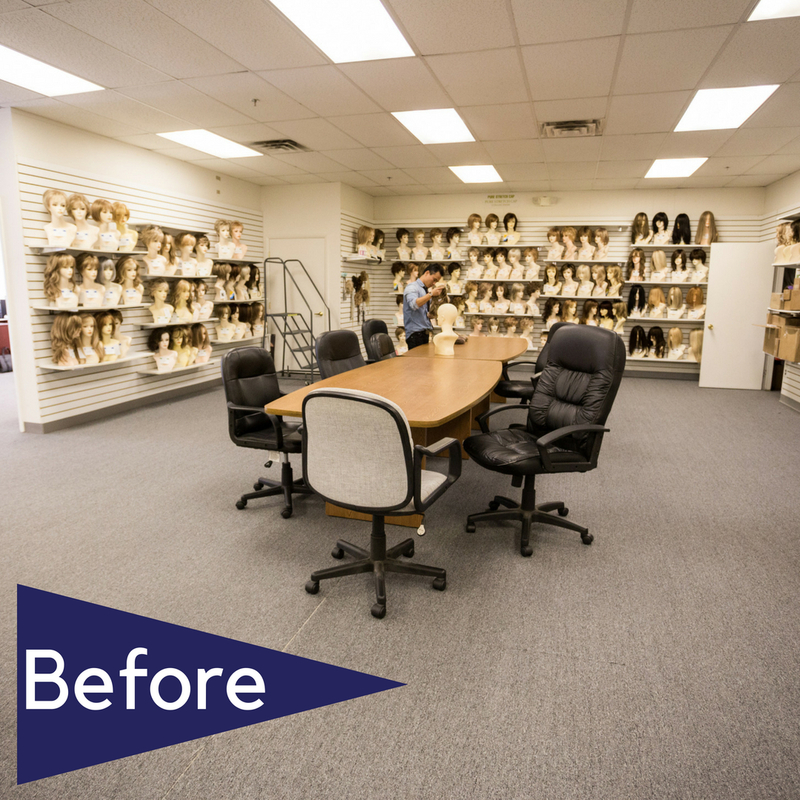 The Estetica Design flooring renovation project included a complete overhaul of the existing carpet in the office space and common areas. 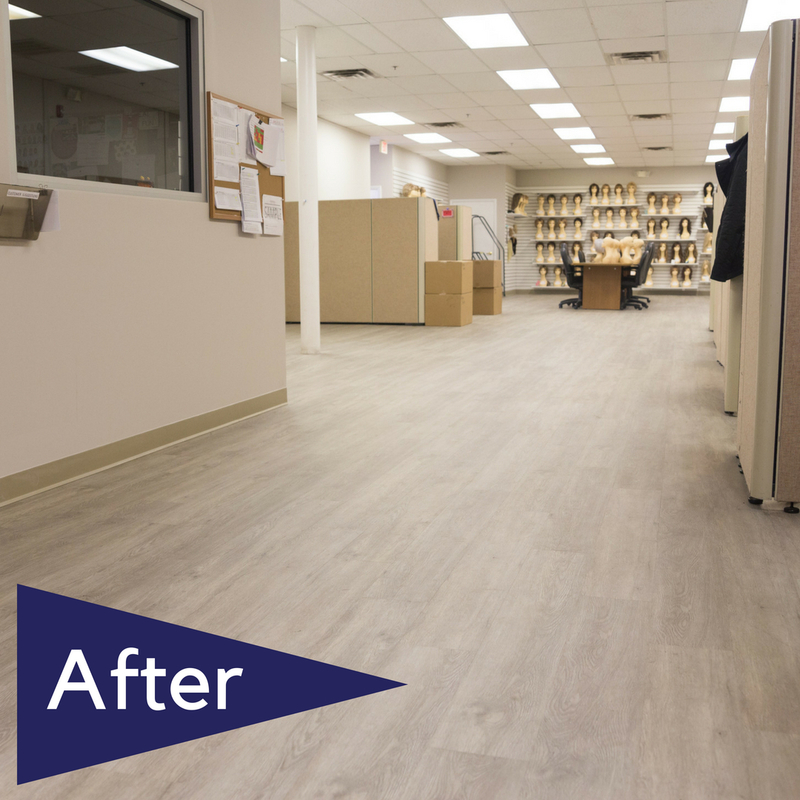 The newly renovated flooring makes a modern open office floor plan pop. Jelissa Jones, our Jr. Project Manager explained that the biggest challenge of this renovation was the floor prep, as there were several different flooring products that lied beneath the existing carpet. 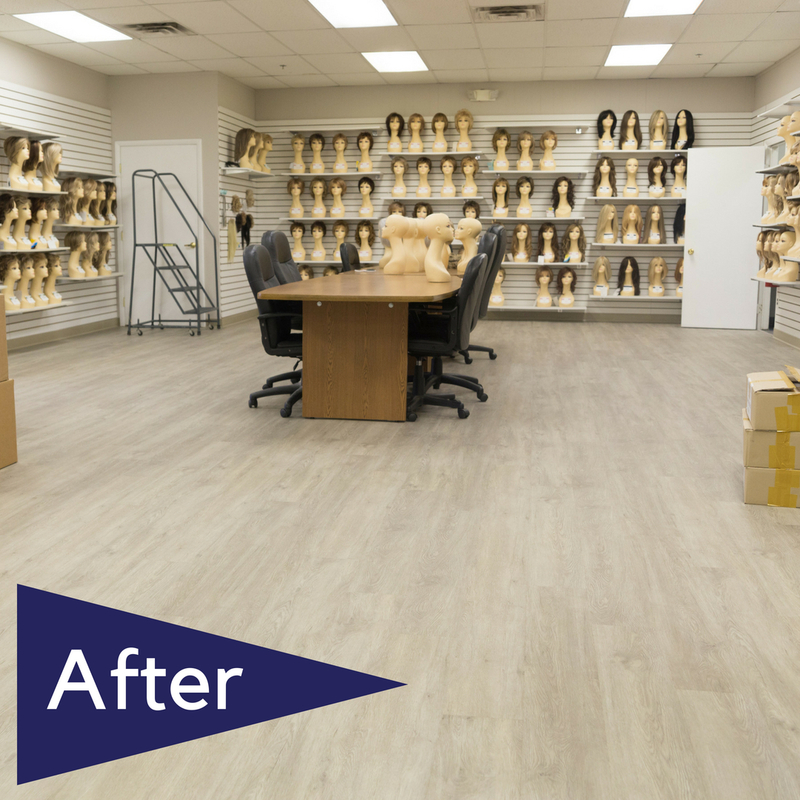 Substrate preparation is eminently important for a successful flooring installation of any kind, but it’s even more critical for a vinyl flooring installation that includes luxury vinyl tile and plank. Of primary concern is how level and flat the substrate is. Since vinyl flooring materials have “drape,” they will conform to the surface they are applied to and irregularities will telegraph through. If the floor is not level and smooth, any unevenness can cause the material to “run off” when installed—that is, the unevenness or undulations in the substrate will distort the levelness of the material, which could create gaps, poorly fitting or an uneven appearance, particularly with plank formats and light colors. With the goal to lighten and brighten the space, the chosen materials palette is clean, neutral and durable, integrating many sustainable design features. The flooring optimized furniture and paint opportunities, keeping the workspace durable and easy to clean.